CHICAGO (WLS) -- This past week has been one for brain power in Chicago. Richard Thaler, an economics professor at the University of Chicago, was awarded the Nobel Prize for economics. Thaler is considered one of the founding fathers of behavioral economics. He studies how we think about money and how we rationalize how we spend it. Dawoud Bay is a photographer who teaches at Columbia College and whose work captures people from marginalized communities. Rami Nashashibi is the executive director of the Inner City Muslim Action Network and works to build bridges across racial, religious and socioeconomic divides. 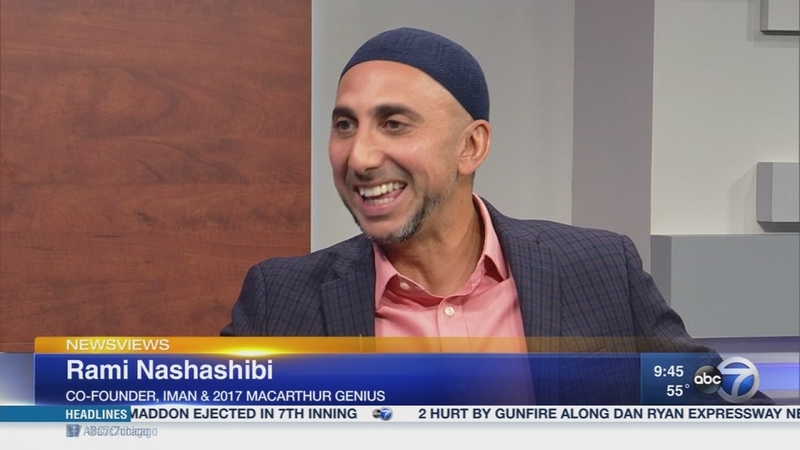 Nashashibi joined ABC7 Sunday for Newsviews. Two people from Chicago are now part of an elite club, being named a MacArthur Genius by the MacArthur Foundation.